Our Customer portal allows you to have access to your roofing asset information in real time. Manage your roofing portfolio anywhere with internet access. 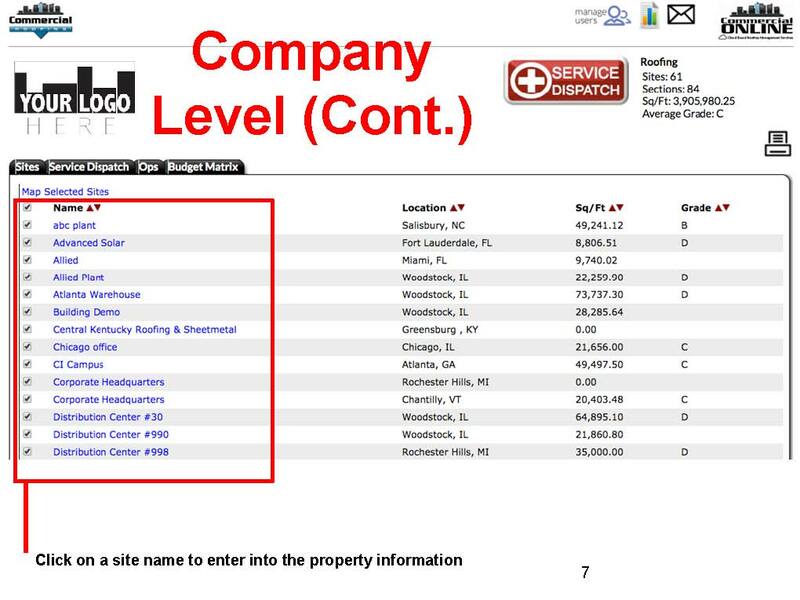 Company Level – Here you will see a list of your properties. 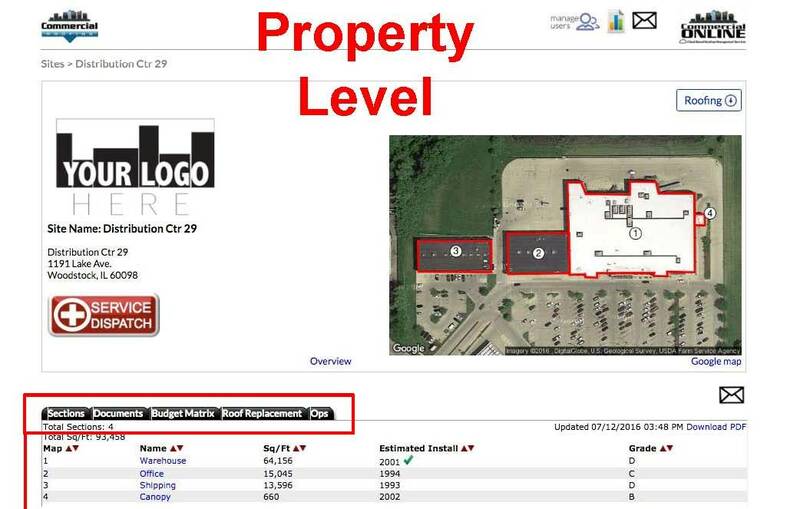 Property Level -Here you will see a list of roof sections of a specific property that was selected under the company level. You may refer this as sites, buildings, etc. 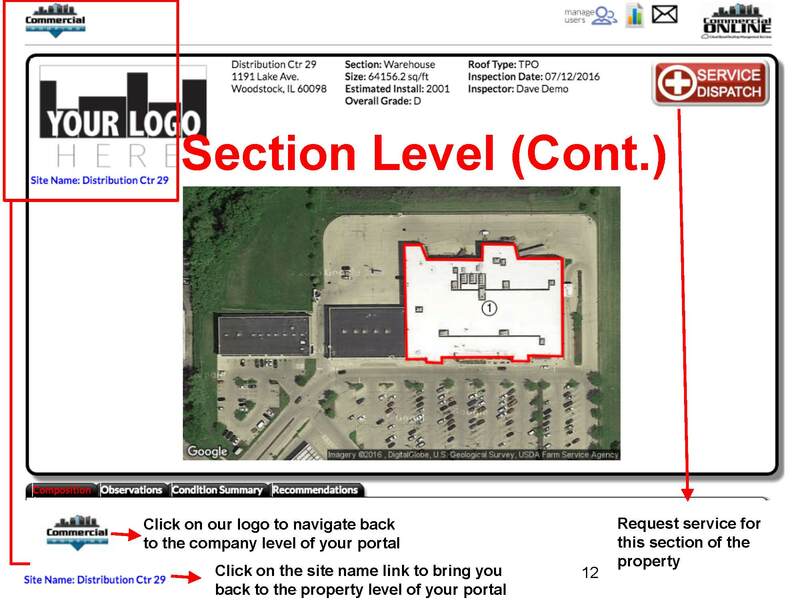 Section Level – Here will see and have access to specific inspection content. You may refer to these as roof areas, firewall to firewall, etc. 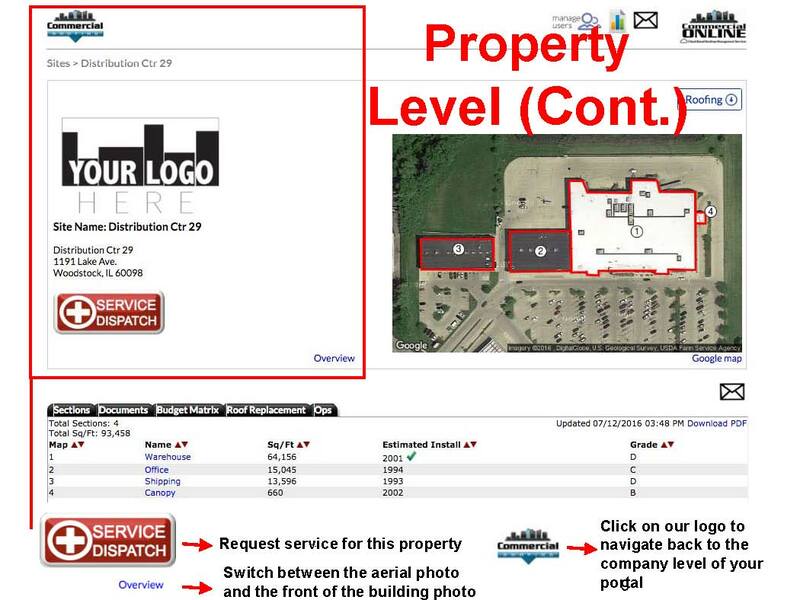 Sites: Display a list of all of your properties with locations, total square feet and overall grade of roof (after inspection). Service Dispatch: Access you past and current service dispatches for all of your properties and with updated time stamps. Ops: Access any past capital projects for all of your properties. 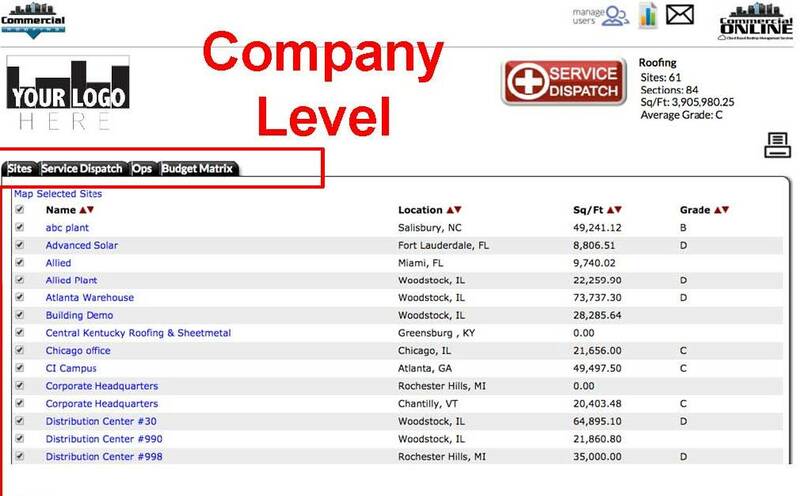 Budget Matrix: Emergency, remedial, and replacement budget information for all of your properties. Add additional portal users or edit existing ones. 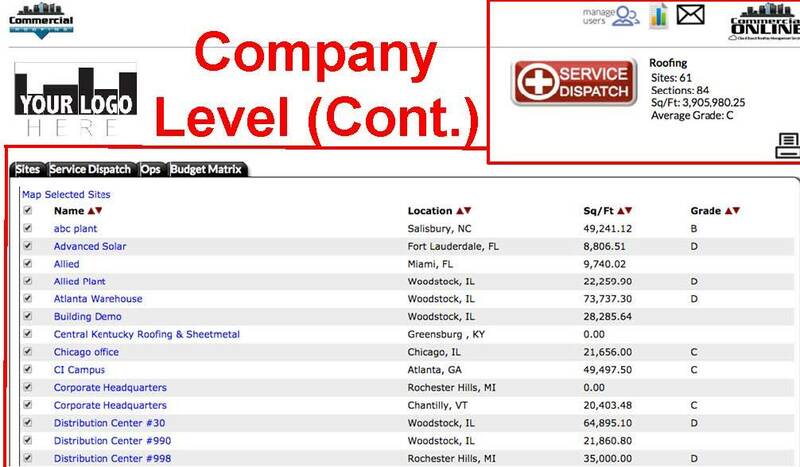 Access advanced service, capital, and budget reports. Print or save a PDF list of your properties. Request service for one of your properties. 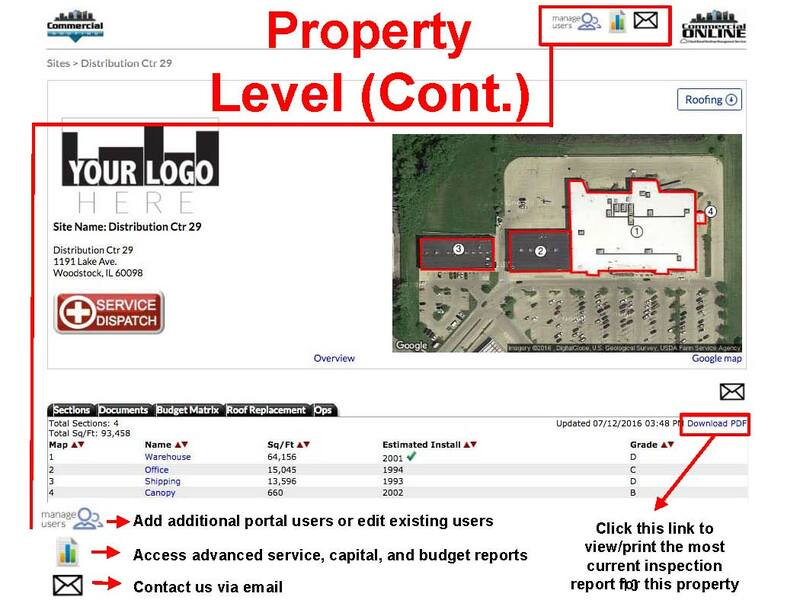 Sections: Displays a list of your properties in sections, square feet, estimated install year, and grade. Documents: Access and upload any property related documents like warranty paperwork. Budget Matrix: Set your repair/replacement budgets for this specific property. Roof Replacement: View any replacement proposals for this property. Ops: View OPM reports from capital projects for this property. Composition: View any composition photos to see the layers of the roofing system of this section. Observations: View observations photos, videos and/or roof drawings for this roof section. 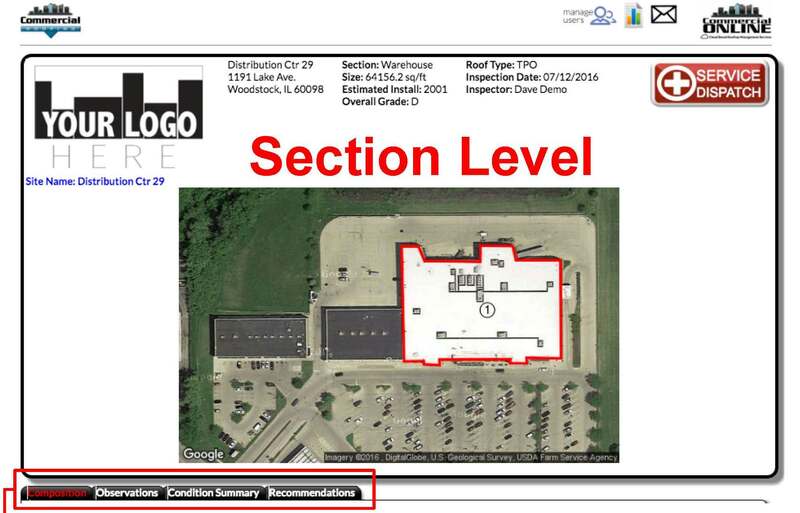 Recommendations: View our professional recommended next action and condition grading for this roof section. With headquarters in Phoenix, AZ and regional offices throughout the United States, we effectively service clients nationwide.